"say goodbye to working around your software"
RedHorse was designed from the ground up to work the way you need it to work. We believe that software should fit the way you want to run your business — not the other way round! The best product we ever had! I find it intuitive to use, it makes sense, and every edition gets better to work with. So it’s completely customizable. Really, seriously customizable! Both versions of RedHorse, RedHorse CRM and the complete RedHorse Business Manager, come ready with a dizzying range of functionality. So whatever you may need… group calendaring and activity management, social media integration, marketing campaign management, custom surveys, quoting, support tickets, workflow management, or billing integration… RedHorse can do it! But you probably don’t need to use all those functions, so why should you have to navigate around them? So RedHorse lets you totally customize your work environment. With a few clicks you can simply switch off the features you don’t need. We know every business works differently, and so should your business software. RedHorse will happily accommodate whatever data you need to collect, see, or manage. You can create as many user-defined fields as you need, whenever you need to. With our old CRM, our users would collect certain crucial data from a customer then they would have to remember to open up multiple locations and insert the data there, which is really inefficient. All day long, people would be jumping up and running over to a file cabinet to look up information they needed. I would say it probably cost our team members an hour — every day! And we would have human error, because of people transposing numbers and amounts from memory! We would find information, things wouldn’t match. With RedHorse, I was able to create custom fields and write a simple stored procedure that would take that data and insert it automatically into all the places it needed to be. So now, they’re putting the information in once, and the database puts the data where it needs to be, avoiding human error and saving us time. RedHorse runs on super-reliable Microsoft platforms (.Net, Windows Server, and SQL Server), and has been battle-tested for a decade. That means the database and the code are incredibly robust, giving you the confidence that you can always get business-critical intelligence when you need it. 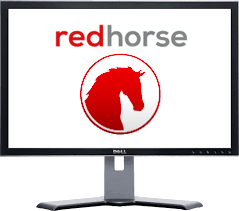 While most software is rushing onto “the cloud” we’ve kept developing RedHorse as a native Windows application. Because it doesn’t have to run in a web browser, we can keep it powerful, flexible, robust, and still easy to use. Coming from a background working for a security software vendor, I am a very careful buyer. When we were looking for our CRM I evaluated a lot of systems. Cloud offerings are more powerful now than they were then, but they still can’t give us what we need. There was no system that wouldn’t mean we had to change our processes, and even the most powerful systems did not allow much customization on the back end. My initial view of RedHorse was that it was an extremely well-designed, strong, powerful database. The heart of a CRM system is the database, and RedHorse’s database has been excellent! Of course RedHorse integrates with the software you probably already use, like Outlook, GMail, QuickBooks, and Constant Contact. There was no way we could achieve the kind of customization we needed with any of the cloud-based CRMs on the market. When we first looked at RedHorse, we saw its strength almost immediately. It just fit our migration needs, and it allowed us to keep most of our structure. We wanted RedHorse to be the most flexible business software you can get, so we’ve made sure it is. Because it’s built on the industry-standard Microsoft SQLServer, it makes it easy for an integrator or systems administrator to dive under the hood and change… well… anything! It is really important for us to have control over the database. For my CRM, I really don’t want it out in the cloud. I want it behind our firewall. Because the RedHorse database is based on SQL, we can write queries against it and do whatever we want. That’s important. Whatever you need RedHorse to do, if it doesn’t do it straight out of the box, you can add or modify any of its functionality. That’s why, whenever anyone asks us, “Can it..?” the answer is always the same. 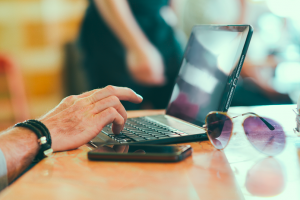 It’s your business, so shouldn’t your software should work your way? With have clients in everything from manufacturing to financial planning, we’ve made sure RedHorse speaks your language. So whether you refer to invoices or sales tickets, sales calls or site visits… in just a few moments, you can tell RedHorse to do the same. You can rename anything you want! All that means you can get on with running your business — the way you want to. The bottom line is this. There are plenty of simple, easy-to-use CRM apps on the market, which are great if you’re prepared to modify the way you work around the software. When I first found RedHorse, I thought, “Wow, this could save so much money and time!” That’s why when I started my own company it was the first investment we made. We had RedHorse set up before we even had desks! There’s always more you can do with RedHorse. As we get busier, we’ll customize it even more around our business processes. RedHorse CRM lets you manage all your customer relationships. RedHorse Business Manager does all of that, and includes a host of extra modules, giving you everything you need to run your whole business.